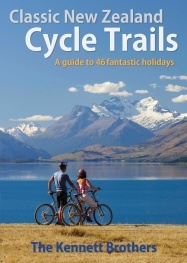 New Zealand self-guided bicycle tour route planner. New Zealand offers up an enticing mix of quiet roads, spectacular scenery, and old-fashioned hospitality. 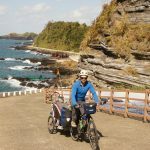 Although it’s a small country, the bicycle touring route options are almost endless. There are so many choices that it’s sometimes hard to know where to start. 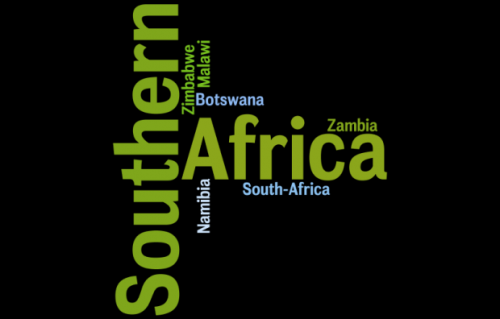 Here are some ride suggestions to help you with your planning. 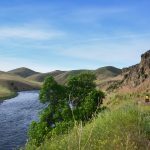 Danseys Pass (elevation 935 meters) is reached by a narrow unsealed road that passes through high country pastures. It’s a great place to absorb the peace and solitude of rural life. The road links Naseby and Ranfurly in the foothills of the Kakanui Mountains between Central Otago and North Otago. It’s steep and rough in some stretches so be sure you have tires that are up to the job. 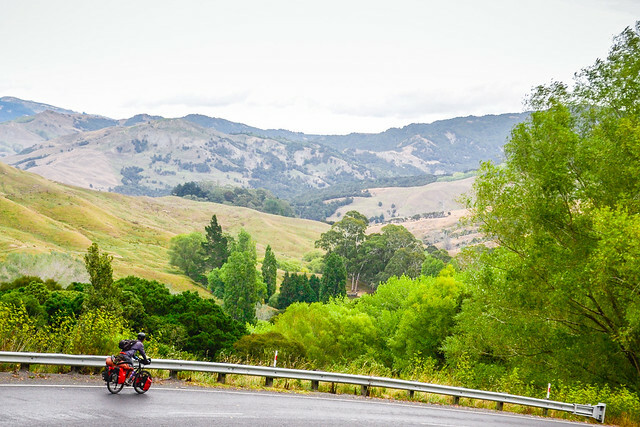 The Catlins Southern Scenic Route has been described as “one of the world's great undiscovered drives.” Well, ride in our case. 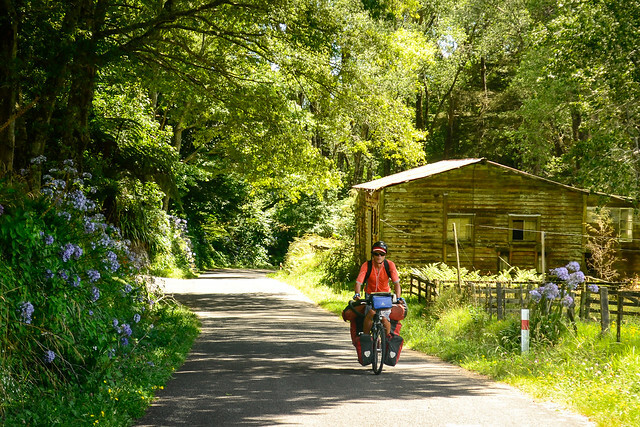 Tucked away in the southeastern corner of the South Island, you’ll find some blissfully peaceful cycling far removed from the hustle and bustle near Queenstown. Beteewn Balclutha and Invercargill you’ll get a good dose of stunning coastal landscape and dense temperate rainforest. If you’re lucky, you may even spot a yellow-eyed penguin. The Caitlins are infamous for wild weather and heavy ocean swells, so make sure you’ve got your rain gear handy. All those zig zags are just waiting to be conquered! At 1076 m (3530 ft), the Crown Range is the highest sealed pass in all of New Zealand. 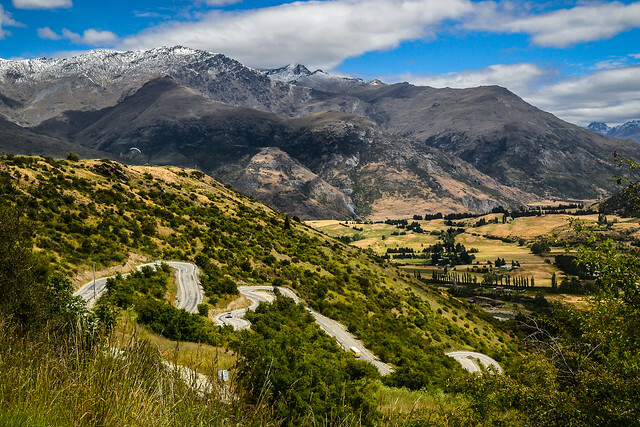 The road links Arrowtown and Wanaka on the South Island. It’s a lung-bursting, heart-stopping climb but well worth it for the panoramic views and pride you’ll feel once you make it to the top. 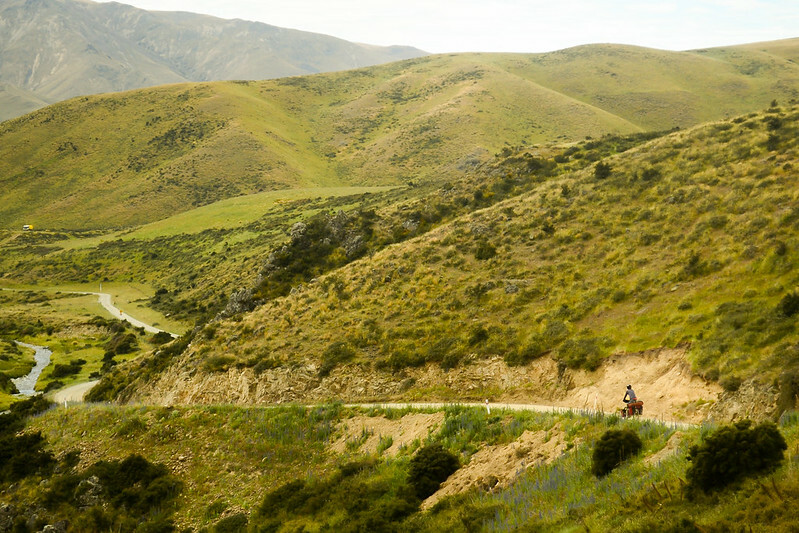 This New Zealand North Island ride is 180 kilometers of remote countryside miles from anywhere. In this isolated hill country, you can get a taste of what it was like for the early settlers who tried to eek out a living from the unforgiving land. The ride begins at New Plymouth and follow State Highway 52 (the quietest ‘highway’ in the country) to Taumarunui. The Timber Trail is one of the most recent routes to be added to New Zealand’s growing network of cycle tracks. It’s remote. Much of the trail traverses native bush. It climbs steadily along the western side of the Hauhungaroa Range following an old tramway line once used for logging. There’s a forbidding tunnel to navigate and the fascinating Ongarue spiral to climb. But the best part--by a long shot--is the half dozen suspension bridges. They’re some of the longest and highest in New Zealand. 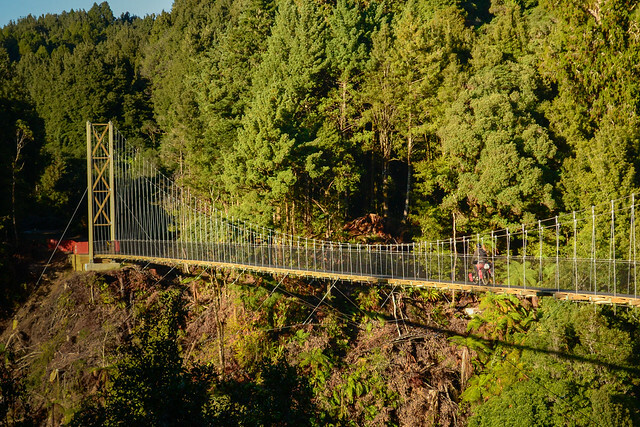 Get an adrenaline kick on one of the Timber Trail's many suspension bridges. 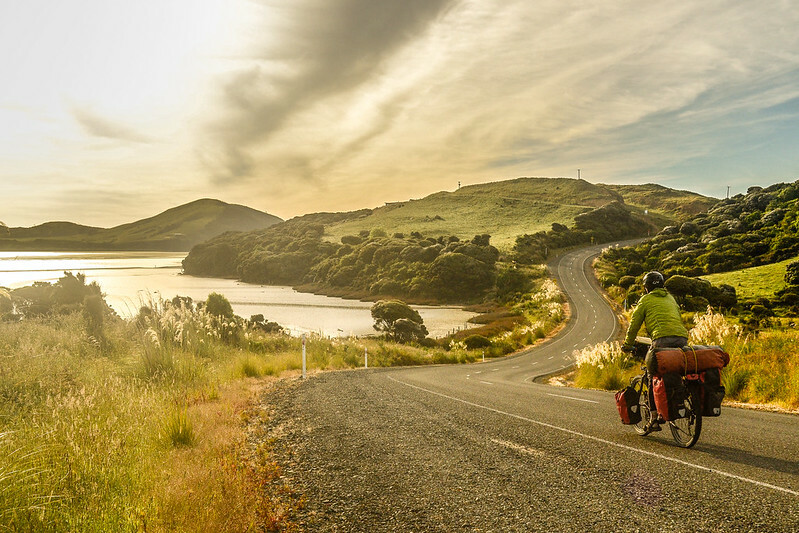 New Zealand’s East Cape has been ranked one of the world’s top coastal cycling routes. The 330km stretch of State Highway 35 connecting Gisborne and Opotiki traces the wild Kiwi coastline as it dips and climbs against the backdrop of Mount Hikurangi and the Raukumara Range. This far-flung farmland region feels a little like 1950s America. It’s a place of general stores and old fashioned cafes. The East Cape is the Maori heartland. It’s home to some of the oldest indigenous settlements in New Zealand. Unlike the rest of the country, it’s Maori--not English-- you’ll most often hear spoken on the streets of the small coastal settlements. Quiet roads of the East Cape.